‘Hard’ Brexit is dead and Brexit has been dealt a near fatal blow. Will businesses in Britain now step forward and put it out of its misery? The people of Britain were asked by Theresa May, the British Prime Minister (at the time of writing this blog), to give her a strong mandate for the Brexit negotiations. They declined to do so. This leaves Brexit in a near-death limbo in the UK, but not in Brussels. Let’s not forget that the Article 50 clock is relentlessly ticking down, and if we don’t do something we go over the cliff on 30 March 2019. But in reality it will happen sooner because most businesses need to plan ahead. We’ve already lost 45 days of negotiations. Now we will lose many more. The referendum result was close. Very close indeed given it was on a major constitutional issue. That narrow victory appears to have been reversed in this ‘Brexit election’, with a surge of new voters, young voters and even, ironically, many former UKIP voters, voting for Jeremy Corbyn’s Labour Party. 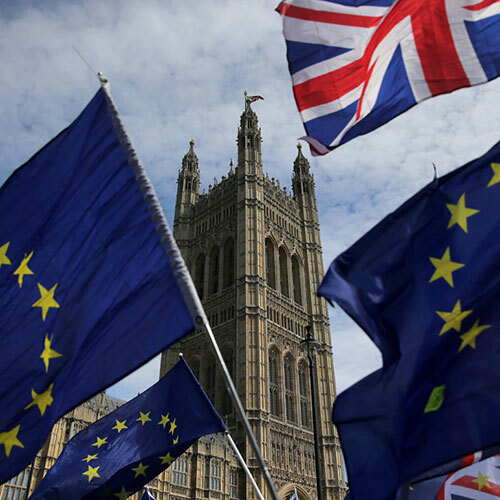 The anti-Brexit or anti-hard Brexit parties won a majority of the votes, denying May a Parliamentary majority, even under Britain’s no longer fit for purpose voting system. To prevent a period of unprecedented uncertainty or worse, business needs to act, not just wait this one out on the sidelines. Because this is about business. Business largely kept its head down during the referendum, and has steered clear of the post referendum debate on the type of Brexit we should seek to negotiate. They feared being accused, like Britain’s Supreme Court judges, of being ‘enemies of the people’ for defying their will. Now the will of the people is at at the very least in the ‘don’t know’ camp, they must now come forward to inject some sanity into the Brexit debate and spell out the hard truths about a hard Brexit. Realistically that could lead to some sort of EEA or Swiss relationship, and it may even stop Brexit completely. For let’s not forget all of this is but symptom of a disease, and not the disease itself. And the disease is like a contagion, spreading across Europe and the US. Many voters are angry and looking for alternatives to what they consider to be a failed business, economic and political system.